Located on the north shore of Kaua'i, Princeville Ranch Adventures is family-owned and operated, offering exclusive ziplining, horseback riding, kayaking, hiking tours and off road adventure. The staff takes you away from crowds to pristine areas on the 2,500-acre working cattle ranch. All tours feature small groups as well as guides who share flora and fauna, history and culture. The Princeville ranch guides are famous for welcoming guests with aloha, and sharing their extensive knowledge of this special place. 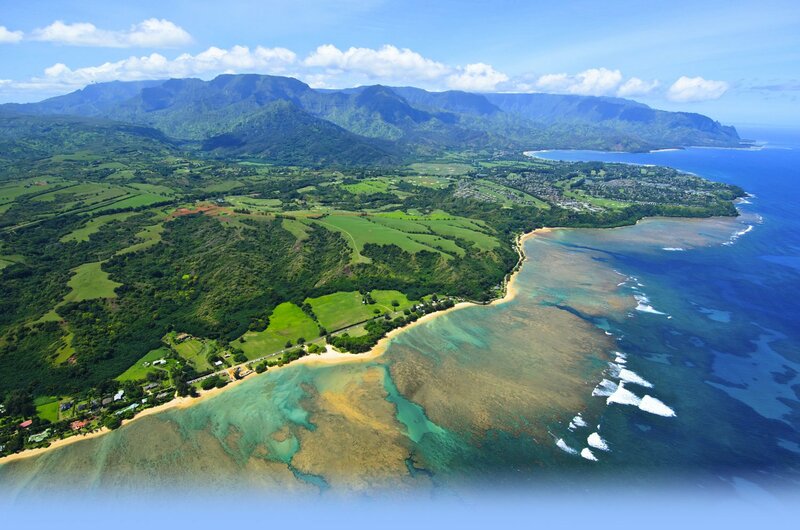 Zip the full course on the pristine private lands of Princeville Ranch. Enjoy a thrilling combination of picturesque ziplines and a suspension bridge spanning a waterfall. Imagine walking off the edge of a lush valley, flying over treetops across to the other side, soaking in the mountain views along the way. Princeville Zipline Adventures are among our most popular tours. Whether you’re a first-time rider or a true equestrian, Princeville Ranch has the horse and private ride for you. Soak up panoramic views of mountains, valleys and the ocean, or find yourself riding through herd of cows and calves. Along the way, your guide will share ranch and paniolo history with the true spirit of aloha. We offer personalized riding adventures on Kauai with a Private Guide. Choose from several exciting choices to customize your adventure. Let your kids be themselves while they enjoy adventurous activities on a private ranch. Enjoy beautiful Hanalei mountain views as you approach the secluded Kalihiwai Stream. Kayak through a serene rainforest steeped in tropical sounds, scents and sights. Learn about Kauai’s history flora and fauna as you hike the lowland rainforest. A truly unique jungle experience on the pristine private lands of Princeville Ranch. These off-road tours will get you into Princeville's backcountry areas. Easily access remarkable scenic views, exciting terrain and the opportunity to discover areas of the island that few visitors get to experience. It's the perfect adventure for the whole family. Come enjoy some of the best off-road trails the Princeville Kauai has to offer.